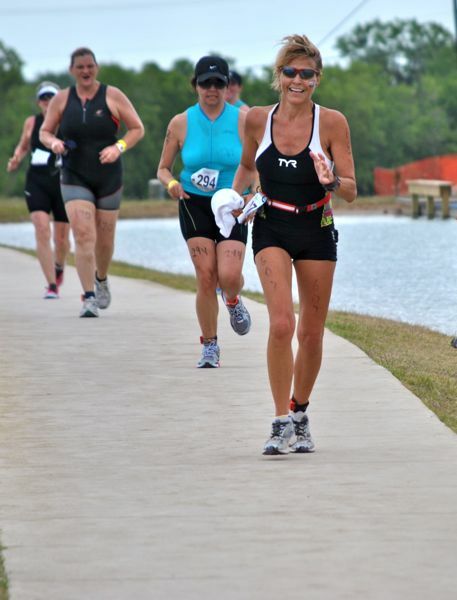 My First Tri, Will Tri Again! The morning started with a short yoga practice for all the participants before the first air horn blew. Were that I truly am as smart as I THINK, I would have rolled up my beach towel and gone home knowing MY best event had just taken place with the yoga. I then would have paused for some fuel, before I transitioned straight to the mall. But no, my judgment was as murky as the open water I was about to wade into. Supposedly, I was in the water for “only” 15 minutes; it felt like FOREVER. See the TWO lifeguards swimming alongside that panicked woman holding her breath? That would be me. (For the record, they never had to actually help me, though they DID ask.) I didn’t struggle to breathe, and I wasn’t tired, I was just flippin’ freaked out. Had my heart rate monitor been strapped to my heaving chest, my beats per minute most certainly would have short-circuited the Garmin. Dancing on the Pedals a la Lance! Out of the corral after a leisurely 3 1/2 minutes & I felt strong the whole ride, rode hard, passed more than a few people. By far my best (and most enjoyable) event. My cadence was high, my legs were strong, my form was impressive! Right up until … the dismount — one foot clipped out, one did not & I went down hard on my side. Right in front of God, the photographer, and everyone. Despite a post race bruise, the biggest casualty was my pride. Had been feeling pretty cocky about my cycling skills up to that point. What is it they say? “Pride Cometh Before the FALL” … Literally! I Feel A Party Comin’ On! At the finish line, we were met by enthusiastic race volunteers who handed us a refreshing cold wet towel and commemorative race necklace. 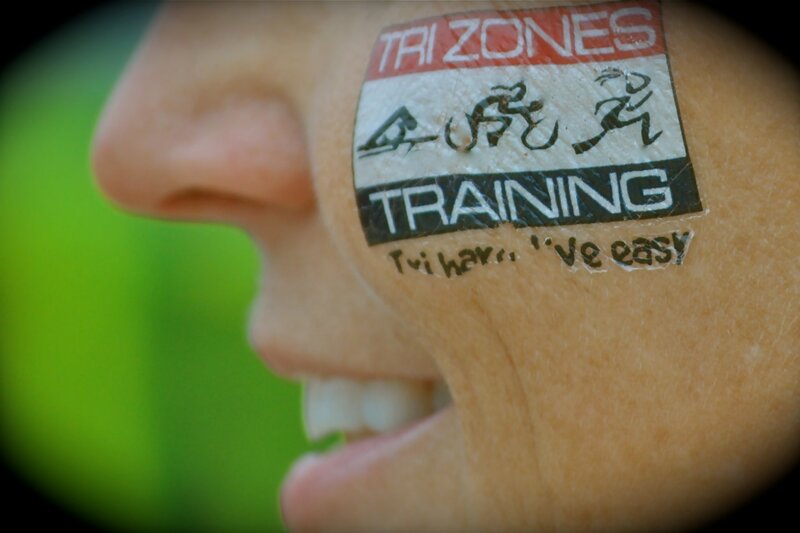 The post race celebration was fun & gratifying — fish tacos & beer & lots of camaraderie with the TriZones group. The T-Zone tent offered red carnations for all the moms & we took group photo of our large contingency. It was nice to be embraced by this pack of strong, positive women after my very solitary and humbling first endeavor. Later in the evening, I began to seriously doubt if I’ll be ready for the Danskin next month. As my husband & I talked, tears rolled down my face while recounting my panicked, open-water attempt. 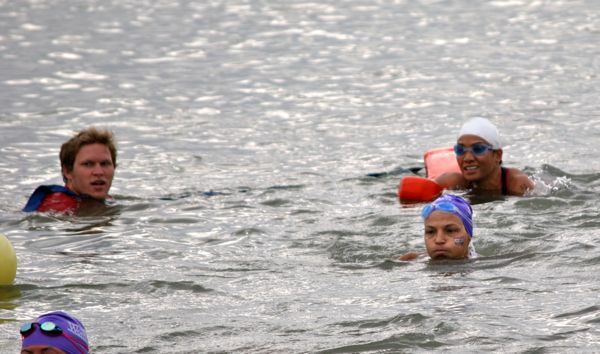 He tried to encourage me sharing his own struggles with the open water swim, but to no avail. Finally he sighed, “If you hate this so much, Pam, I have to ask … why are you doing it?” I could only mumble, “Because I have to, I have to do this. For me.” Later I thought that maybe my answer lies in the title of this blog. Maybe it’s all about discovering “the potential within”. The 800 meter swim looms large. Everyone keeps saying, “You’ll be ready,” though I have come to accept I may not. I may need more time to get ready. If I do, I do, but until then, I’m gonna keep putting one arm in front of the other, trying to remember to breathe. My congrats — and GRATITUDE — to those of you who shared the day with me! It mattered! 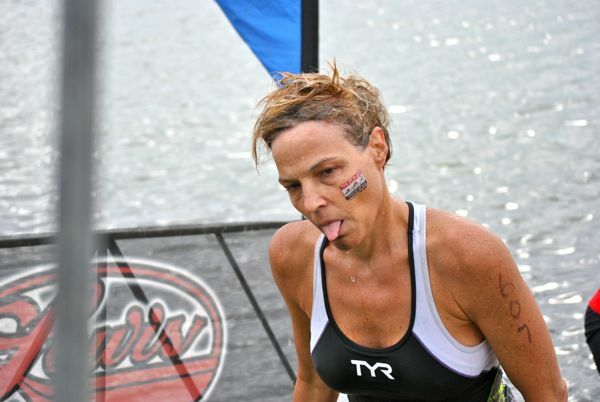 * My husband has since informed me that I MUST get the TriZones team shirt … “If you’re on a team, Pam, you need to don the team gear! Get with it!” Next stop, the online order page. 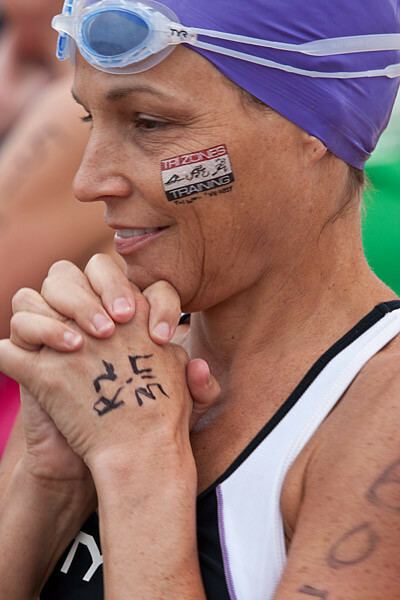 With gratitude to Tom Marek Photography for several of the photos included in the slideshow, and especially my husband Brian who was there to capture “All Me, All the Time”! Dealing with Depression: Self-Help and Coping Tips. Having an action plan is always a good route. The problem with depression however is that you just cant seem to do the very things that you know will help.